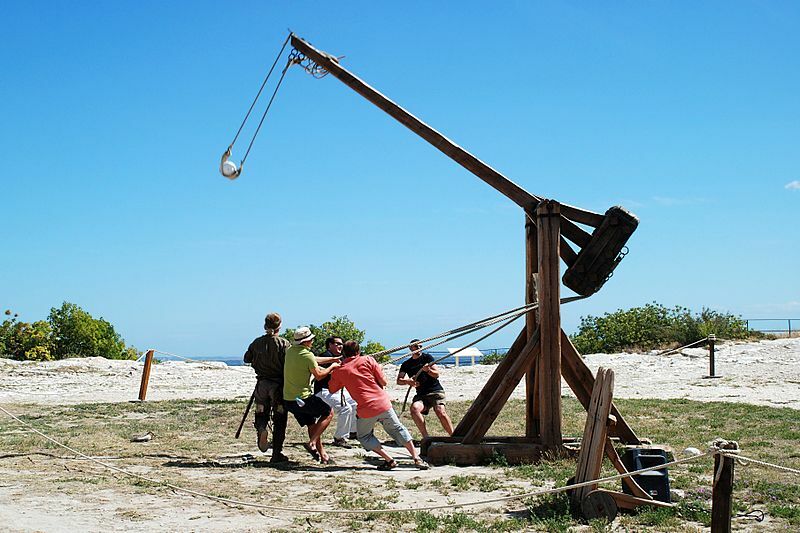 For a Modern European History class project at Columbus Academy, juniors Frankie Benson, Matt Pickering and Alex Castelli built and demonstrated a trebuchet on May 10, 2010. Abstract: Students enrolled in a multidisciplinary service learning engineering design course work in groups to make working prototypes of hands-on experiments in STEM (Science, Technology, Engineering, and Mathematics) areas for K-12 teachers. The module to be discussed addresses the topic of “simple machines,” geared for a 3 rd -grade classroom but adaptable to other age groups. The student-designed materials involve plastic gears used on separate platforms designed to allow the young students to place and move components in specified or experimental locations. Students could change the positions and relationships of the components to have variety of outcomes. As a starting point, two to five different configurations would be used by the 3 rd -graders to become familiar with how the various machine components work. Then, the students would be free to innovate the gear arrangement as they wished. 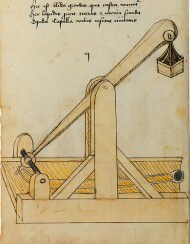 An additional project involved the use of catapults. Students were given a list of materials to build one, develop the idea of the lever. This lesson was meant to be inquiry-based such that children would be free to ask questions and use their own creativity to build their catapult. A competition of accuracy was be implemented to increase motivation. Students in the class were asked for oral and written responses to observational questions throughout the process. The lesson was evaluated by having students link the scientific method and knowledge of simple machines to their design processes and stating their results. The classroom trials proved successful but there were several flaws such as the need for more time, to keep their attention, for a visual aid or example demonstration.